Vanguard Cleaning Systems® handles unique office cleaning needs across different industries and business sectors. Vanguard® will work with you and your team to create a customized cleaning service schedule including special services so that your business receives a tailored cleaning program. For a free cleaning service quote, or support regarding your current cleaning service, please call 604-670-0273 or use the Contact form below. 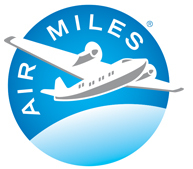 Get up to 1000 AIR MILES Reward Miles!